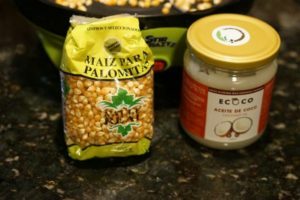 Hey, today let’s make a quick, easy, delicious variation on one of my favorite snacks: Popcorn! 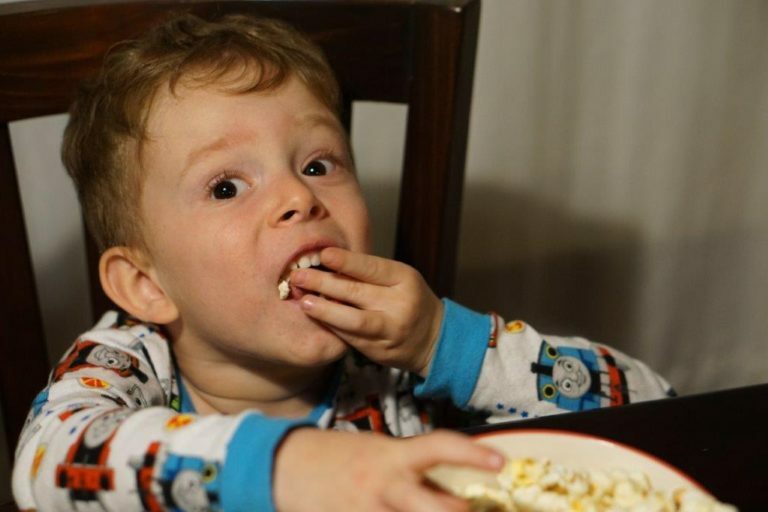 Popcorn is delicious. But I don’t have to tell you that, right? Well, I hope I don’t have to tell you that. Because it is. But you know what’s not delicious? Microwave popcorn. 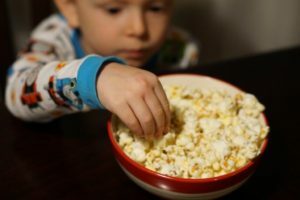 Sure, it’ll give you a quick popcorn high when you’re jonesing for a hit of the ol’ puffed kernels, but it’s just not that great compared to “real” popcorn. Personally, I love popcorn, and movie popcorn is some of the best stuff on earth. 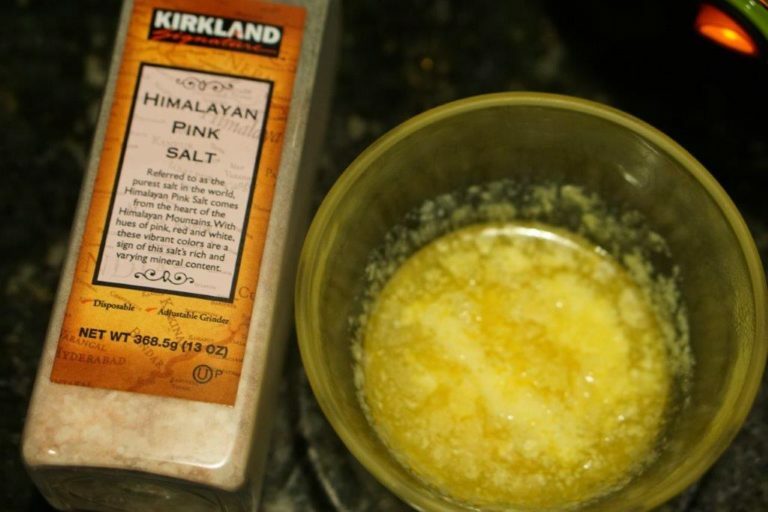 It’s greasy, salty, and more expensive per ounce than gold or plutonium, but it’s absolutely wonderful. The only problem with movie popcorn, though, is that you have to go to the movies to get it. The obvious solution to that problem would be to go to the movies and get a big tub of popcorn, but here in Costa Rica there aren’t any movie theaters close to where we live. And even if there were, I’ve basically sworn off going to the movies here after a bad experience watching The Hobbit (yes, the movie was bad, but the moviegoers were worse, with idiots all throughout the theater talking at regular volume for the entire length of the seventeen-hour movie). 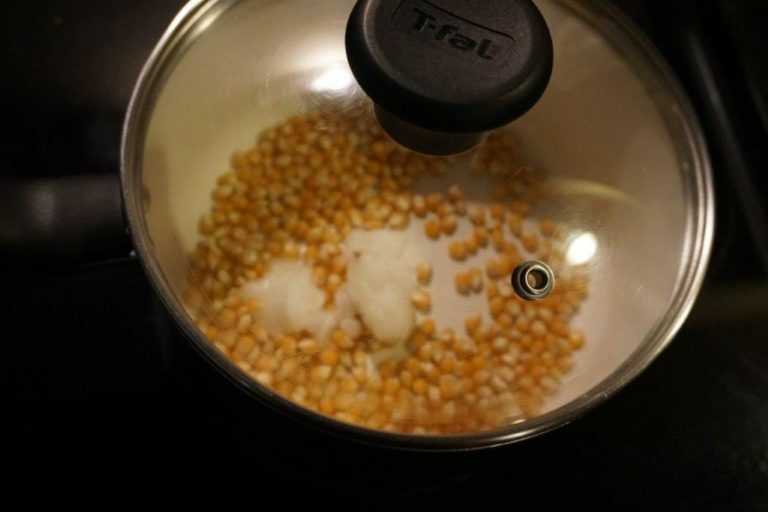 Anyhow, the next best solution was to make some popcorn at home. And that’s what I’ve been doing for the past several years. Now, I know it’s tempting to just get a cheap packet of crappy microwave popcorn, especially if you’re a busy parent. But there’s a much, much, much better way, and it only takes a bit more work. 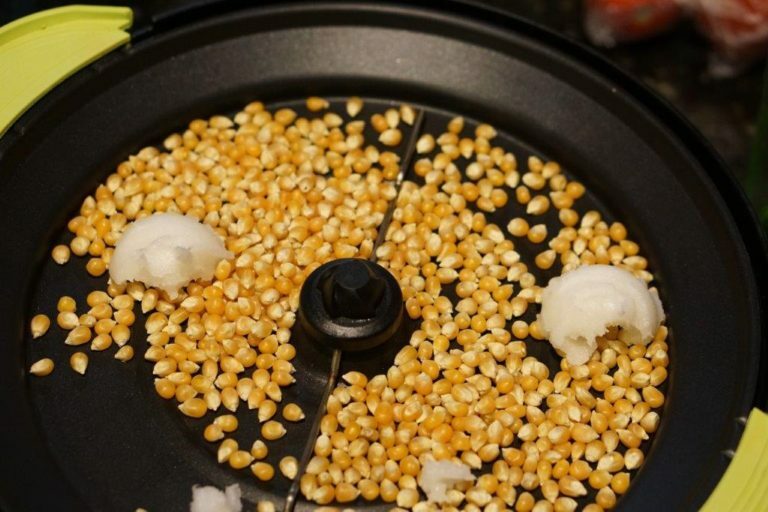 Enter Homemade Popcorn with Coconut Oil and Sea Salt. You only need three or four ingredients and about 10 minutes. I’ll show you how to make it two different ways today. This is also a great Dad Recipe because it has a high impressiveness-to-effort ratio. 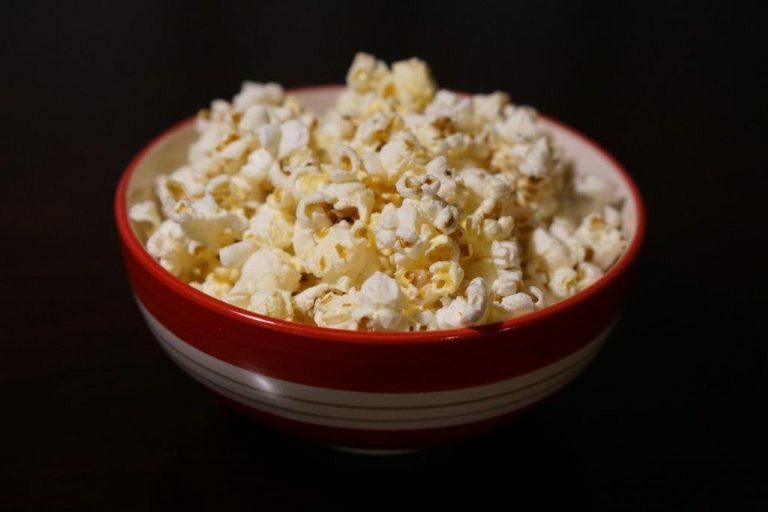 You’re sure to get more credit than you actually deserve when you whip out a huge bowl of this tasty popcorn. By the way, speaking of credit, I need to give some where it’s due: My brother Paul pointed me in the direction of using coconut oil to make popcorn. I’d only used vegetable oil or olive oil before, but the coconut oil gives it that extra special boost that I can’t recommend highly enough. Below you’ll find two versions of the recipe. The first has pictures if you like to see how to do stuff, and the second just has the text. Each “serving” of uncooked ingredients will get you about a quart (that’s about a liter, if you can dig it) of popped corn. If it’s just two of us, I’ll usually make one serving, but if we’re hungry or gluttonous, or if we’re watching a long movie, I’ll double it to fill a big mixing bowl. Here’s the full recipe, with pictures and everything. If you want me to shut the hell up and just give you the recipe, that version is just after it. If using a popper, turn it on and wait for the magic. If using a pan, turn it to medium or medium-high heat and cover with a lid. While you're waiting, melt the butter. This popcorn is great with any salt (since salt is delicious), but the best salt I’ve ever tried was a gift from our friends Brian and Barbara. They call it “Utah Salt” since they got it in Utah, but its actual name is Real Salt. If you can get your hands on some, buy it. It’s amazing. Also, you could probably put other stuff on your finished popcorn—like peanut M&Ms if you’re looking to add some extra chocolate and sweetness, or shredded coconut, if you’re a deviant. 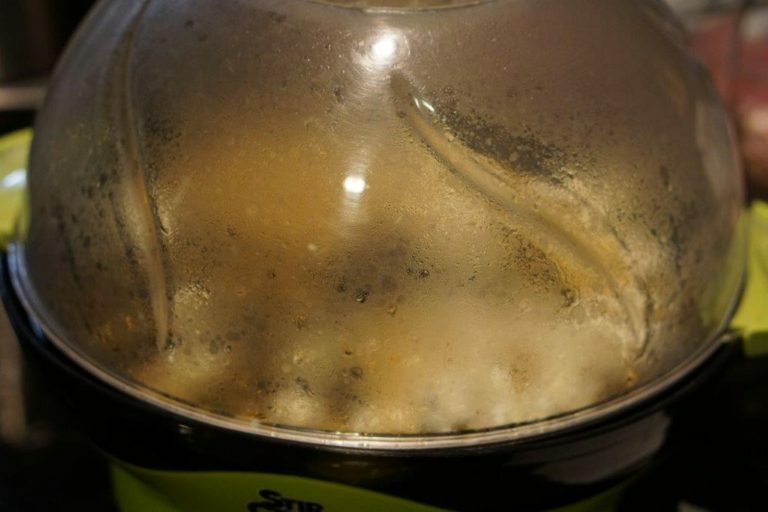 Finally, you really should get a popcorn popper. 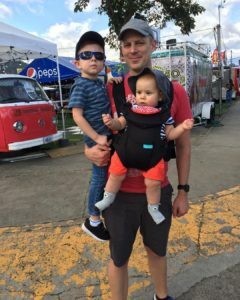 They’re wonderful and cheap (around $30, or the cost of a small bag of movie popcorn), and we actually use ours all the time. 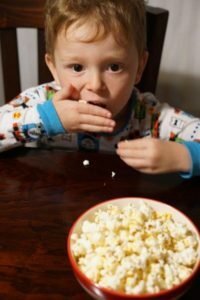 That’s about all I have to say about popcorn…for now! But who knows what the future holds. Let me know if you make the recipe. Until then, keep healthy and keep popping!